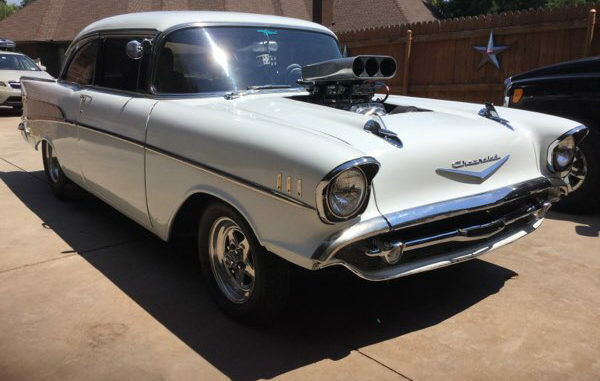 Pro Street in style with this blown 1957 Bel Aire BBC. 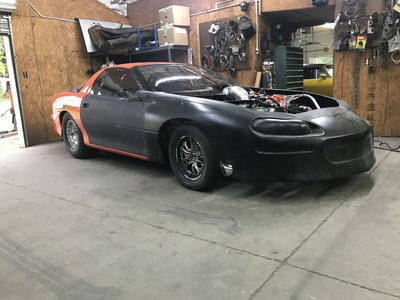 This 2 door post has a blown 454 big block, twin Holley 650’s, and Dyers supercharger which makes this one mean machine. Mated with a Muncie 4 Speed and a Ford 9″ rear out back sending the power through a pair of Mickey Thompsons, this Chevy rockets out of the hole.